We have a neighbor who just turned Eleven today. His mom wanted something that was fun and reflected his current love of Baseball, but that wasn’t too childish. I remembered seeing a hat like this in Elisa Strauss’s Confetti Cakes book, check out the link to the right. We fashioned it after his own cap, and put his name and age on the back. I used one half of the Wilton ball pan and a six inch cake pan to make the rounded cake without any carving. To get the stiching effect I used a fondant tool also from Wilton and for the ventilation hole, two sizes of plain round piping tips were used. 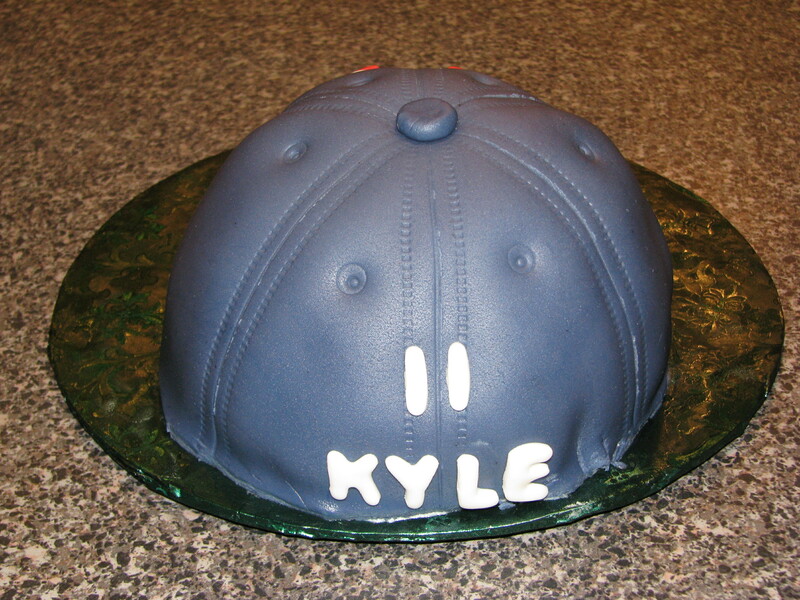 The navy fondant was achieved mixing black, royal blue, and cornflower blue colorings. 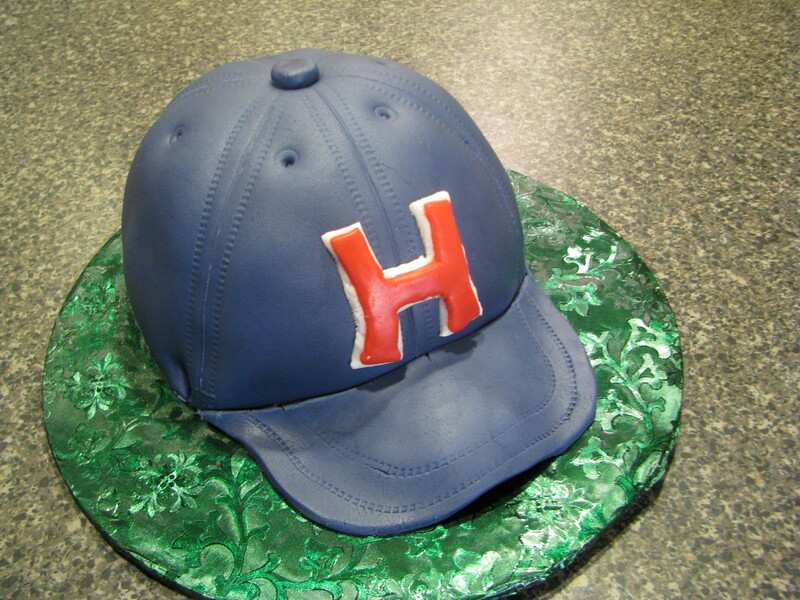 This is a great cake design for any baseball fan and it is also pretty simple and quick. It would be a great way to try working with fondant if you haven’t before.